Aesthetic preferences are fickle. Definitions of cool come and go. The fashion industry, the automotive industry, and the music industry (among others) depend on continual change to grow their revenues. Outlandish style often rules over substance. 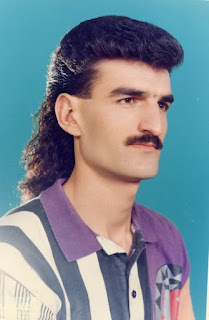 At some point deep in the 1980s, grown men thought sporting a mullet was a good idea. It wasn't. Fortunately, some great things don't change. Some things are perennially "cool" : the Ford Mustang, Ella Fitzgerald, Harley-Davidson Motorcycles, Converse Chuck Taylors, Johnny Cash, Cohiba cigars, the "little black dress", Taylor Swift, and Glenfiddich Scotch whisky. Yes, I included Taylor Swift. Of course, any time an artist, actor or brand enjoys sustained popularity, it will invariably draw criticism. Sometimes that criticism is justified, sometimes minor (perceived) deficiencies are exaggerated and sometimes people are just bitter and jealous. Like those who criticize T-Swift. Or Glenfiddich Scotch. Glenfiddich is the world's best-selling single-malt whisky. It is also the most awarded at the International Spirits Challenge. If you ask a non-Scotch drinker to name a Scotch, there's a good chance they'll name Glenfiddich. The brand and its ubiquitous stag's head logo have become synonymous with malt whisky. It is the preferred brand of Inspector Morse, Prince Harry (rumoured), George Clooney (allegedly) as well as being the bottle Brian from Family Guy keeps in his emergency stash. The only brand more people equate with scotch is Johnnie Walker, the über-popular purveyor of blended scotch whiskies. But being the most popular also comes with baggage: the frequent, vocal ire of critics. 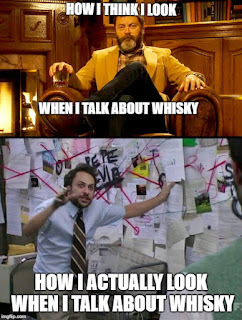 A quick examination of the whisky blogosphere, reveals some animosity toward the brand: too big, too corporate, too generic, not a "craft distillery", frequent use of chill-filtering and caramel colouring, not complex enough, etc. Is this criticism justified? Are all scotch bloggers pretentious snobs? In 1887, William Grant built what was to become the first Glenfiddich distillery near present-day Dufftown, Scotland, in the glen of the river Fiddich. Glenfiddich means "Valley of the deer" in Scots-Gaelic, hence the logo. Grant built the distillery with the help of his wife, his nine children and a single stone mason. According to the Glenfiddich website, the first drops fell from the stills on Christmas Day 1887. Happy Christmas indeed. Glenfiddich was one of the few distilleries to survive prohibition; they increased production in 1923 to meet a growing demand for quality whisky. In the late 1950s, Glenfiddich kept coppersmiths on-site to ensure the stills remained in good working order. At the end of the decade, they opened a cooperage (barrel-making facility) onsite, a practice which remains to this day. You can't fault them for their dedication to quality control and consistency. Around the mid-1970s, Glenfiddich began marketing their single malt as a premium brand; up until that point, most scotch whiskies sold globally were blends. (Note: Blended scotch still accounts for 85%-90% of global scotch sales) W. Grant & Sons also increased advertising campaigns and created a visitor's centre at the distillery. 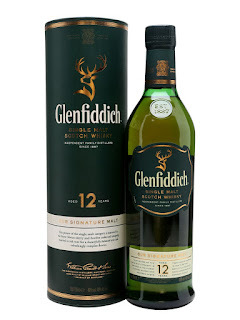 Glenfiddich 12 Year Old Single Malt Scotch. The stag's head, the green triangular bottle, the pale golden liquid; this is the quintessential Speyside whisky. This expression is matured in a combination of American bourbon and Spanish sherry casks. Glenfiddich presents this as their signature malt for good reason: this whisky is very accessible, it isn't challenging, it isn't hard to find, and it isn't outrageously priced. Glenfiddich 12 is bottled at 40% so I was loathe to add water to it. But I'm glad I did. Two teaspoons of distilled water really emphasized the fruitiness of this dram and toned down the sweetness a bit. I definitely recommend adding a bit of water to this one. The cool kids may eschew this malt in favour of "boutique" drams and "craft" distilling, but their loss is your gain. This whisky is reliably good. No scotch drinker should be put off by this malt. It isn't the most complex dram out there, but it doesn't claim to be. Glenfiddich 12 presents exactly what you expect. It is light, fruity, crisp and refreshing. Its popularity is easy to understand. This malt is never a bad choice, and at less than $60 at the LCBO, it's a reasonably priced indulgence.